Slotland casino app offers lots of pokies, table games, poker, keno, scratch card and other casino games to enjoy with your iPhone, iPad or Android. The casino was founded in 1998 and is a legit casino registered by the Government of Anjouan. 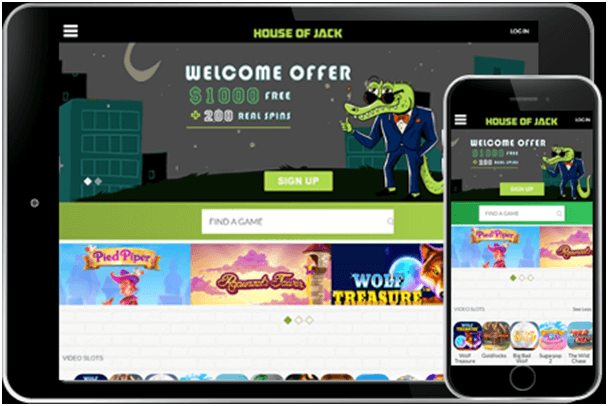 The casino app is safe to play as offers encrypted secure online transactions. Slotland Casino App brings you a Vegas experience that fits into your pocket. All you need is a good internet connection or Wi Fi and iPhone to play games. 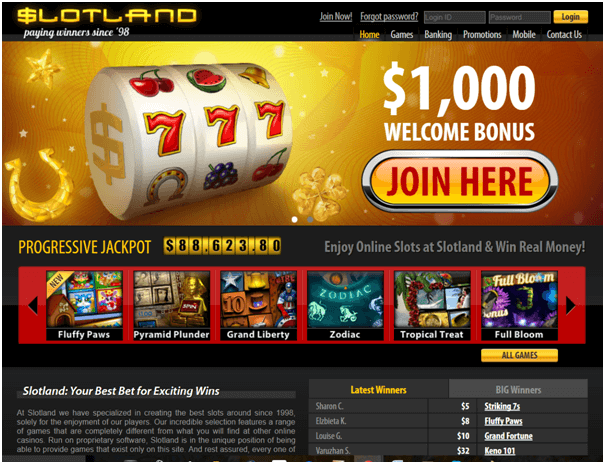 Unlike some other brands Slotland only offers an exciting collection of its own 100% original mobile pokies games developed by Slotland entertainment. Currently there are over a dozen different pokies games available on Slotland Mobile Casino app, that offer a unique experience to the player. 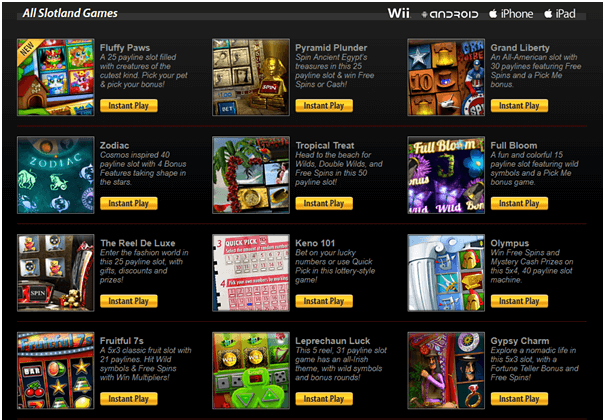 The most popular ones are Fruit Mania, Tikal Treasure, Double Luck and Turbo GT. Fruit Mania– Fruit Mania is a 5-reel pokiest game with 15 paylines. The colorful pokies is similar to the traditional slots with bells, cherries and the lucky number seven in flaming red color. This classic video pokies has several features like multipliers and bonus rounds that are triggered when certain symbols appear on three or more reels on the screen. Other features of the game include bonus game, level up bonuses, extra spins and multipliers of up to 32X. Fruit Mania is also linked to the progressive Jackpot offered by Slotland. 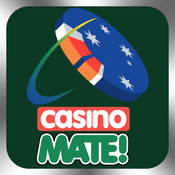 Double Luck– This pokies is 5 reel with 9 paylines and requires a minimum bet of $0.20 and a maximum bet of $4. Symbols in this classic pokies game include colorful wild roses, red colored mushrooms, tasty blueberries, cloverleaf, lucky horse shoe among others. Watch out for the scatter coin symbol that can multiply your winnings up to 32x! 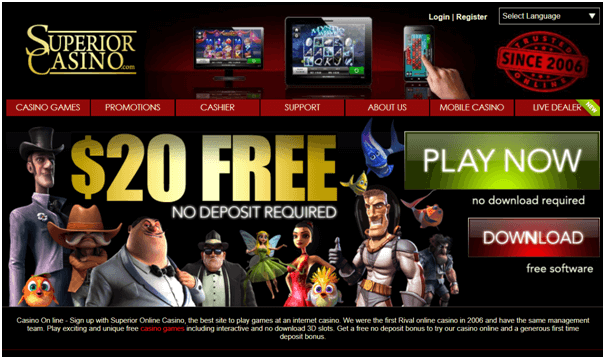 Tikal Treasure– Tikal Treasure is a 5-reel pokies with 25 paylines. The user interface of the game has a mystic feel to it and features the Sun God, an ancient wheel of fortune, a tribal mask and other ancient Mayan symbols. Tikal Treasure has a special bonus game and a wild symbol, which is the Quetzalcoatl. To hit a jackpot in this game, you need to get 5 Quetzalcoatl symbols in a row, on a max bet. Turbo GT– Turbo GT, a game for all fans of racing on full throttle, is a 5-reel pokies with 11 paylines. The interface of the pokies game resembles the dashboard of a race car, which only adds to the fast-paced theme of the pokies. The symbols in this pokies game include A, K, Q, J, 10, a speed-meter, a Trophy, a helmet and a wheel. This game is also linked to the progressive jackpot. It has a wild and a scatter symbol, that trigger the bonus game and free spins. 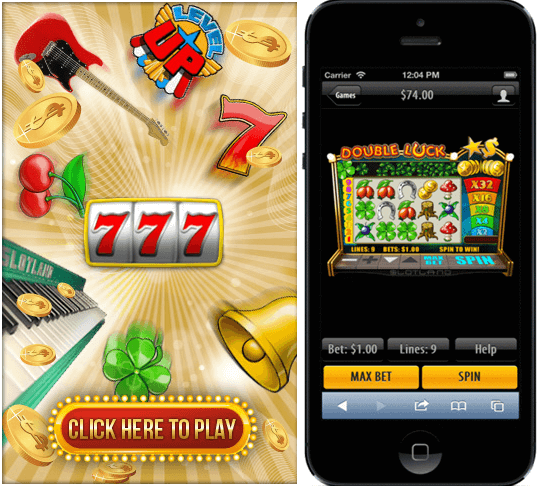 If you want to get the full gaming experience then you can play loads of other casino games with your iPhone and find great selections of progressive jackpots, pokies machines, 3D pokies, table games, Video Pokers and more. There are a few variants of Blackjack, Roulette, Baccarat and Poker available for card and table game fans. Also if you take the time to scroll through the games, you’ll find a few Video Poker titles like Tens or Better, All American and Deuces Wild. 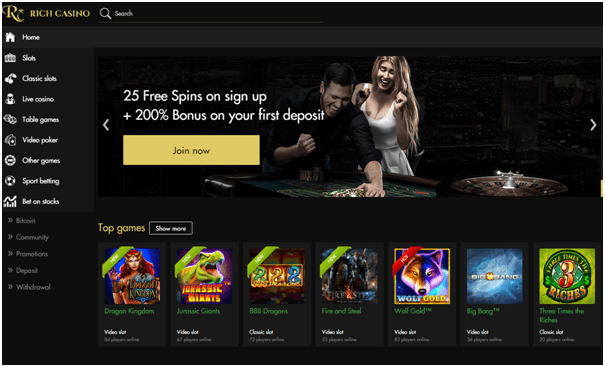 The casino will match your first TEN deposits with fantastic welcome bonuses and you will get bonus codes from WELCOME1- WELCOME10 to use them and redeem the bonuses. Note that Codes must always be redeemed before making a deposit and there is a 12x wagering requirement on the bonuses. There is weekly bonus and you automatically enter the weekly draw for prizes worth $1,500! For every dollar you deposit in a particular week, you earn one ticket toward the free draw. Each ticket you earn drastically increases your odds and gives you a better chance at winning. 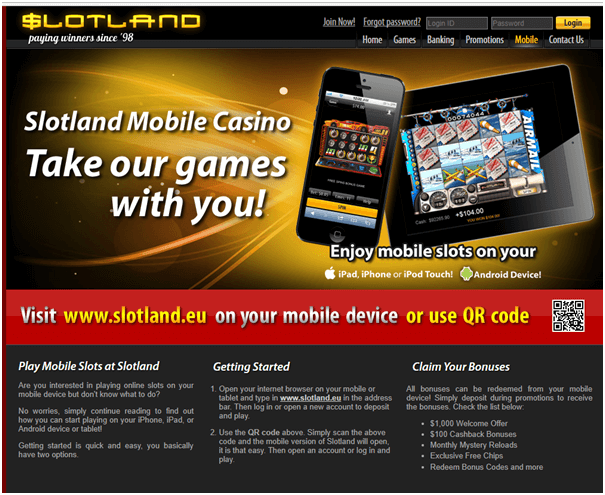 With slotland casino app you can make a deposit at the casino to play games in simple way. All you need is to find various mode of deposits and choose the one which you feel is right for you. You will find that the casino accepts major credit cards including Visa and MasterCard, eWalletXpress or Instadebit, Neteller, Moneybookers and all of these payment methods. When it comes time to withdraw your winnings, you can use any of the alternate methods like Wire, Neteller, Skrill and with checks. You need to read the terms or ask for them from the casino support team when it comes to withdraw your winnings about the fees and days it will take to get credited in your account. 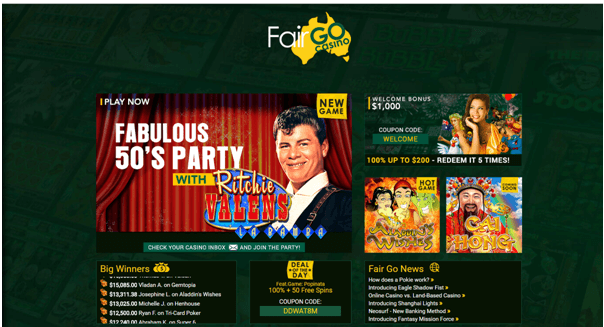 As if you win over $5000.00, special arrangements are made for cash withdrawals. You can also email them at billing@slotland.eu for more details. All you need is to take your iPhone and type in slotland.eu in the safari browser. Then log in or open a new account to deposit and play. Second method to play the games on your iPhone is to use the QR code given at website by simply scanning it and the mobile version of Slotland will open, it is that easy. Then open an account or log in and play. Also you can claim your bonuses with mobile device. If you play instant games then there is no limit in games to play. But if you choose to download the casino app then you are restricted to few games and that is around 30 best different types of video pokies games at slotland which are of high quality like Turbo GT, Double Luck and Treasure box to play with your mobile. 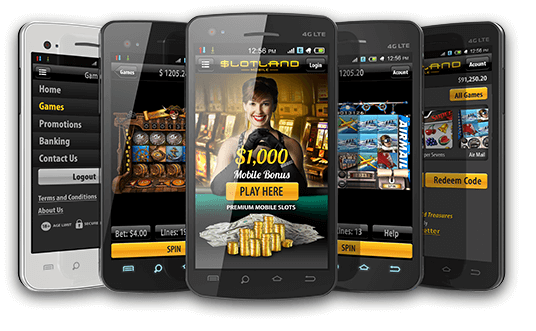 The one unique thing about Slotland casino app is that you can play games using virtually any mobile device equipped with an Internet browser, including iPhone, iPad, iPod, as well as any Android-powered device. Slotland even supports Windows Mobile and Symbian. Also there is no need to download or install anything , just launch the internet browser, browse to www.slotland.eu and you’re ready to go. 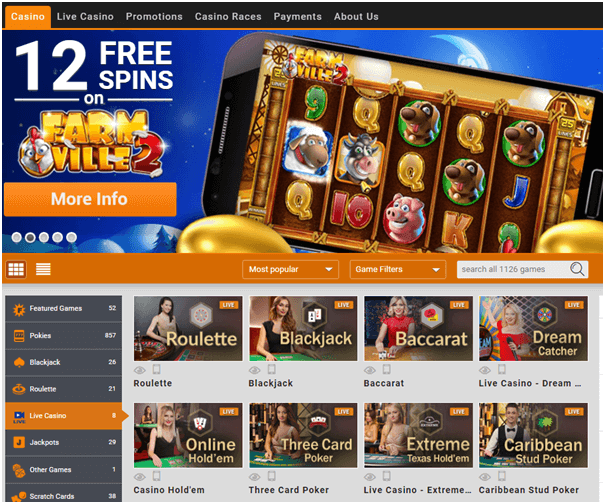 If you but find any difficulty in playing games with this casino app there is friendly customer support available at the casino 24/7. You can chat with the help team directly with your iPhone or just shoot them an email writing about the issue you face at info@slotland.eu (for general issues), billing@slotland.eu (billing issues), support@slotland.eu (technical issues) and mobile@slotlandeu (mobile issues) and wait for their quick response with handy solutions.